Berkeley Playhouse opens their season with the legendary Broadway musical inspired by the rise of some of R&B's most popular superstars. It’s the fabulous ’60s, and Effie, Lorrell, and Deena are young, determined, and talented. They’ve got a dream to be the next big girl group on the radio, no matter what the cost. When they are discovered at a local talent show by a ruthless manager with his own agenda for fame, they are propelled into a world where dreams do come true—and where success can tear apart even the strongest of relationships. Detailing the epic rise of a Motown-like super-group from obscurity to stardom, the story of two lifelong friends takes center stage in this legendary and soulful musical journey that explores the rewards of shooting for the stars, and the costs of valuing success over family. Berkeley Playhouse and TodayTix are thrilled to bring you $15 Rush tickets to "Dreamgirls!" Company may offer programs whereby the Company would make available certain features of the Services when you share information about the Services through an SNS or click on the “Unlock without sharing” button in the Application. 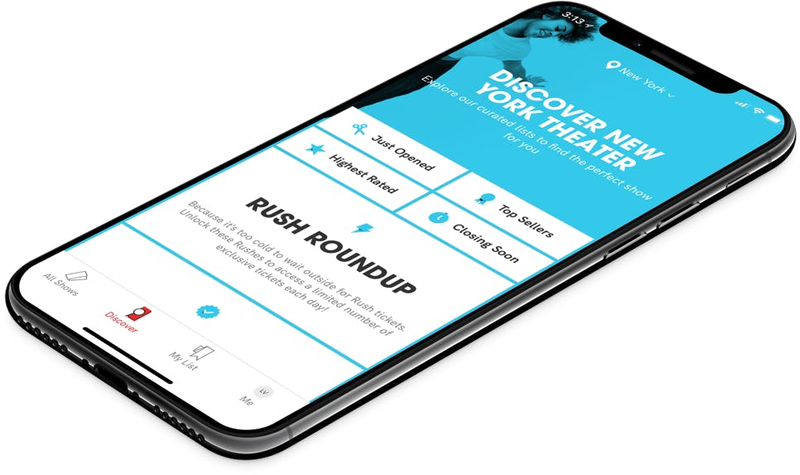 When you are considering purchasing a ticket for a specific show or after you purchase a ticket, if you select the “Share” button in the Application, Company will make available to you a personalized link to a Digital Property with text stating, for example, “Check out Dreamgirls on TodayTix! I’m thinking of going…” or something similar, which you may choose to share with your friends via SNS. Once you have shared the personalized link through an SNS using the Application or selected the “Unlock without sharing” button in the Application, Company will make available to you the RUSH feature, which will provide you with otherwise unavailable offers for tickets to live events occurring in the next week. The opportunity to take advantage of these offers is only available to users who share a personalized link to an SNS through the Application or select the “Unlock without sharing” button in the Application.